Aaj Tak the nation’s most watched News Channel has taken movie partnerships to the next level with an exclusive tie up with the upcoming mega movie – ‘Singham Returns’ starring Ajay Devgan and Directed by Rohit Shetty. Aaj Tak leverages on the larger than life role of Ajay Devgan in the film for promotions of the popular show – Halla Bol on the channel. High quality animations have been used in the series of cobranded promos that drive the message of ‘Halla Bol’ and encourage people to boldly take on the burning issues of today. 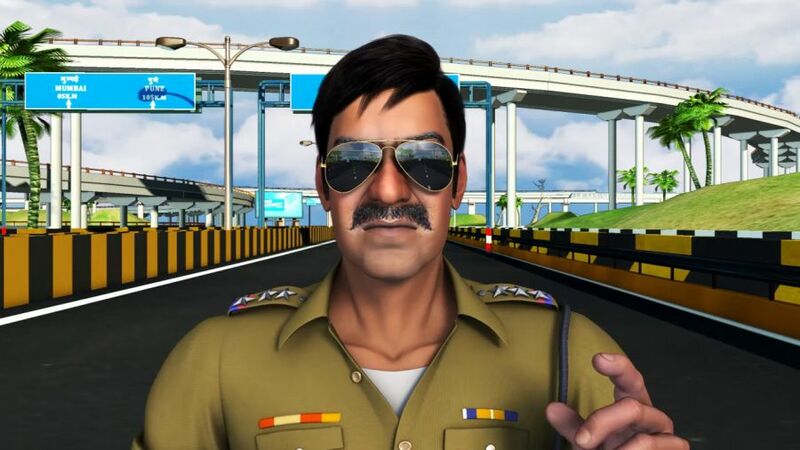 The first video shows the animated character of Singham helping an Ambulance to get out of traffic to reach the hospital. The video is already running across TV Channels and digital platforms of the group. Ajay Devgan the lead star of the film has also tweeted about this unique association (All of us have a Singham inside us. Watch this video by @AajTak http://youtu.be/gNaOFEAJCX8 @SinghamReturns @teamajaydevgn #JoinSinghamSquad).